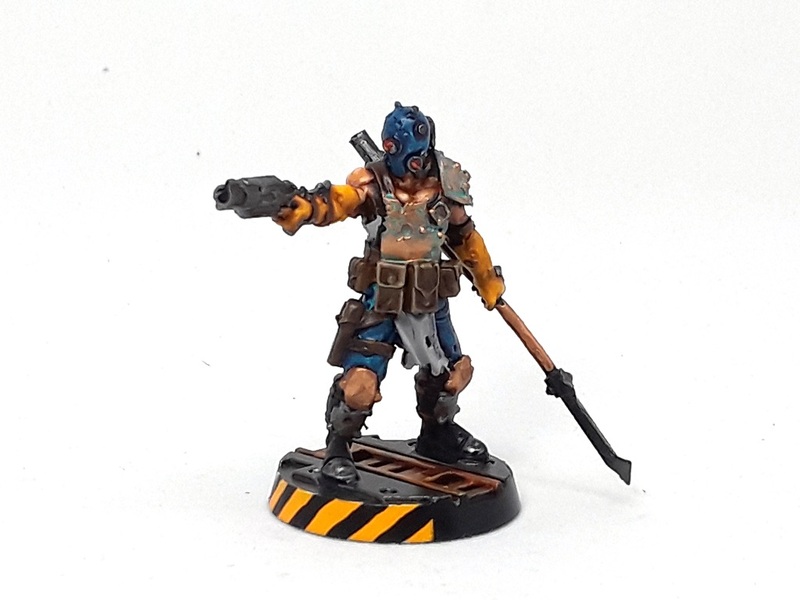 Mordian 7th Regiment: Necromunda - Mad Dog Mono painted! The hits just keep on coming! Been getting into the groove and knocking out a new necromunda model every couple days, and it's been a lot of fun! Today's model is Mad Dog Mono, one of the numerous hired guns that FW has come out with and the one that I most looked forward to getting some paint on from the initial trio. 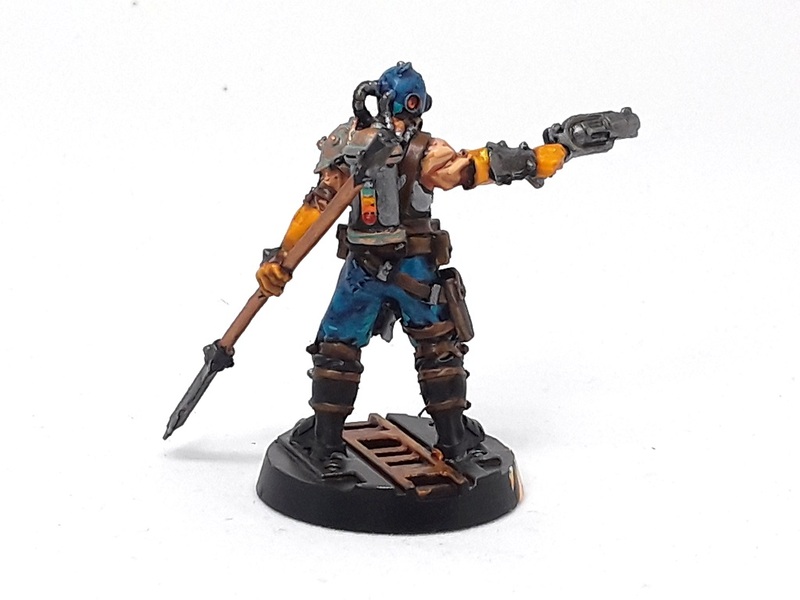 I really dig the techo-ragpicker look, and think he'll fit in well with the upcoming House Cawdor gang (I'm scheming on using this blue/yellow/brass scheme on them as well). All in all I'm pretty jazzed with how they're coming along, four down and six to go! Thanks! Definitely a fun model! Indeed, definitely my favorite of the first trio of Hired Guns FW put out! I REALLY like these new Bounty-Hunter sculpts FW have come out with. From the gorgeous Squat (!!! My first 40K love) to these three, they've really done a bang up job. Love the scheme on this bloke. His chest armour especially looks great with the verdigris. Cheers bud! I totally agree, FW knocked it out of the park with this trio and the follow-on set is ace as well!